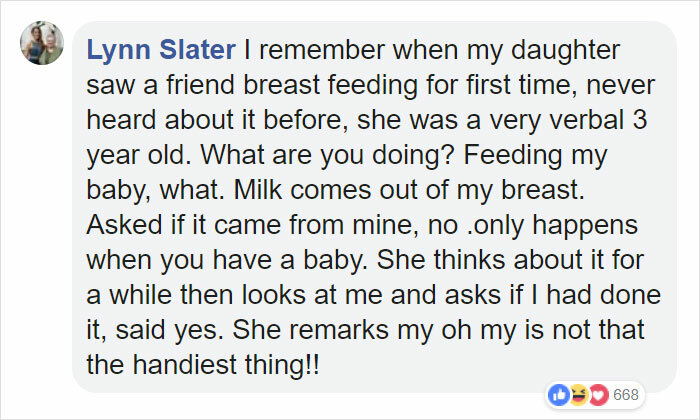 When it comes to breastfeeding, not everyone is completely fine with the idea of a mother feeding her child in public. 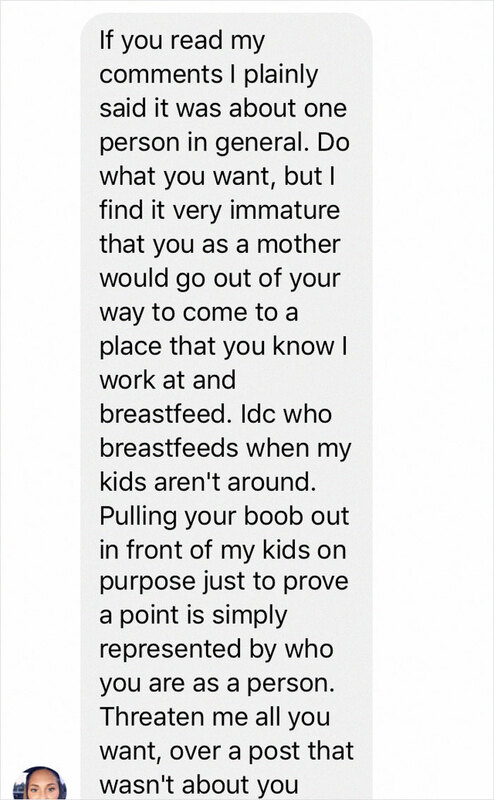 Although it’s completely natural and totally normal, there are still some people who are “uncomfortable” seeing it happen IRL—even other women, apparently. Obviously, this is one take that is way off the deep end—especially coming from a fellow woman and mother. Immediately following the post online, social media users began to report the status and reach out to Petsense to take action. Many thought that she deserved to be terminated immediately because what she said was threatening and vulgar. Umm @petsense Your Gaffney location employs this woman. Does she punch animals that she is grooming if they’re still breastfeeding their young? 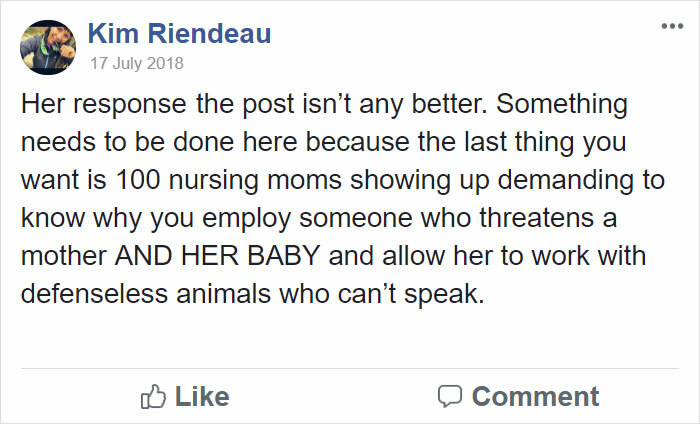 Following the numerous complaints and outrage from mothers and others online, Petsense issued a statement saying that Clark had been fired from the company. They also issued an apology on the company’s behalf. Many people were happy to see the company take action and stand on the right side of this argument. One mother, in particular, seemed to have struck a nerve with Clark. Mother KimReindeau said she received a very nasty and snarky message from Clark. 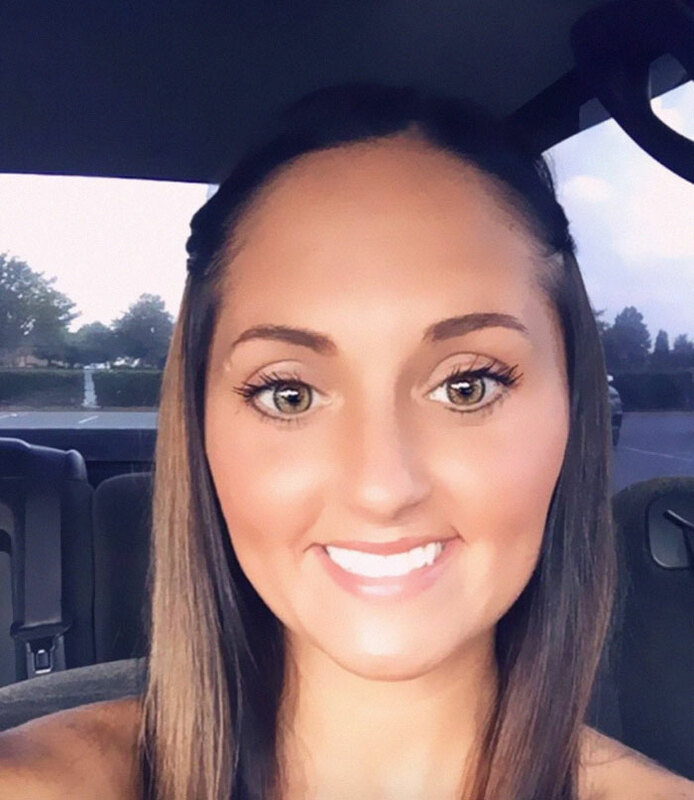 The response wasn’t any better and only served to prove how badly she deserved to get fired. A word to the wise—keep your disgusting opinions to yourself unless you want to lose your job.